During this first truly warm day of spring I’m contemplating the start of my week and the beginning of the season for getting up in 120+ degree attics during home inspections due to improperly ventilated attic spaces. Trust me, I realize that I am the only freak who contemplates the nuances of a properly vented attic but I unabashedly admit that it is interesting to me. It is very common to find old homes that are inadequately vented due to limited knowledge during the time of construction and also new homes which have been hastily constructed by people who don’t care how everything ties together and are also inadequately vented. To entice you to read further, let’s first explore the consequences of a poorly ventilated attic. Loss of $$$! There, did that do it?!?! You may not notice it immediately but over time it will affect your fiscal bottom line. 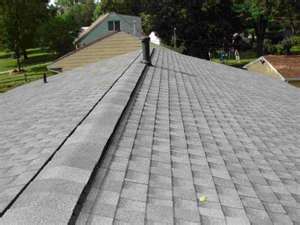 The first way is it shortens the life of your shingles. When there are excessive temperatures in your attic it basically melts your composition shingles and can make them more prone to damage when they are soft and melty (that is a technical home inspector term). A poorly vented attic will also make the top floor of your house hotter which will be uncomfortable and if you choose to run the AC, it will place a greater load on your AC and……that’s right, cost you more money. Not only will your energy bill be higher but because of this greater load on your AC it will shorten the life of your AC. Lest you think you are in the clear during the cooler months, don’t get smug. In the winter your attic will be warmer which causes the snow to melt on the roof if it is sunny. This melting snow runs down your roof and then refreezes at the eve (gutter) edge and causes ice damming. If you’re like me, this ice damming can then rip the gutter off the back of your house and then provide a place for pigeons to nest till you get your gutters repaired! Damn noisy pigeons! Sorry, I digress. I’m not even going to go over moisture issues (aka MOLD) or the delamination of your roof sheathing! If delamination and sheathing don’t sound scary enough, well then you deserve a hot attic! These are just a few things. The question you may now be asking is, “How can I check to see if my attic is properly ventilated?” Before we go through the nitty gritty on attic ventilation, the preliminary step is to break out a thermometer. Wait for a string of hot days above 85-90 degrees. When this happens, get up into your attic and take its temp. It should optimally be below 110 but if it gets up to 125-130 we are looking at an issue. If you fail this first step the next course of action, short of turning your attic into a sauna, is understanding airflow and ventilation. or gable vents (vents on the side of the house under the peak of the roof). 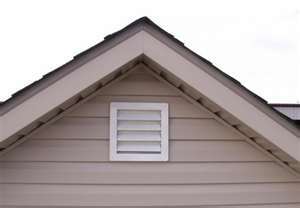 In newer homes I see soffit vents that have been covered by insulation by a well-meaning homeowner or a non-caring contractor. 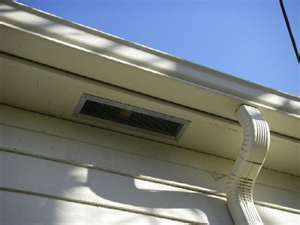 Older homes typically do not have soffit vents. Another issue is gable vents that have been covered by new vinyl siding or blocked on the inside of the attic by a homeowner trying to ________________ (insert excuse here!). High vents include ridge vents or hat vents. Ridge vents are just what they sound like, a vent that runs along the ridge of the roof. You can usually tell you have a ridge vent when you look from the ground because the ridge is raised up more than the thickness of shingles. 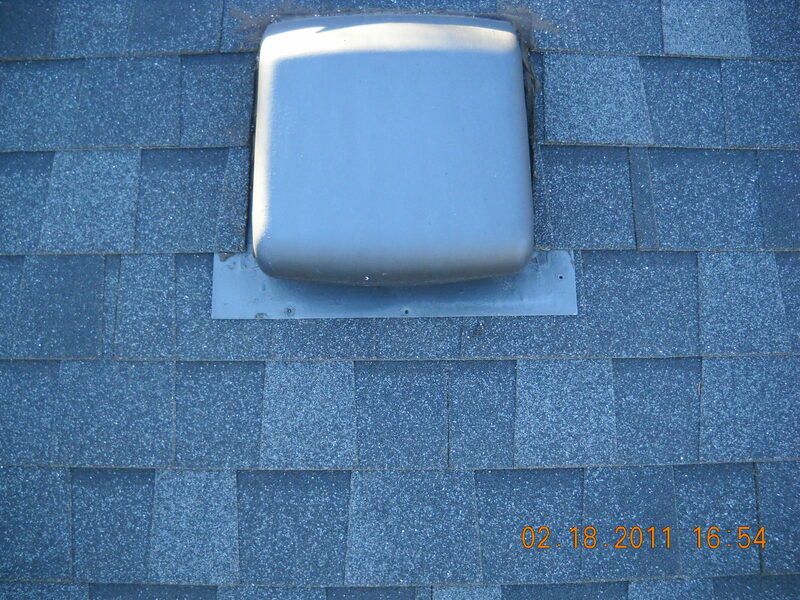 Hat vents are usually installed on the backside of the roof near the ridge and are usually square, about 2’x2′. Example of a hat vent on a roof. If you wanna be cool, the term in the trades is a “turtle” vent. They are usually on the back side of the roof for aesthetic reasons so they don’t show from the road. The biggest problem I see with the high vents is the hole on the underside of the hat vents are not cut big enough to expose the underside of the hat vent. A hat vent typically vents 150 square feet of attic space. If your attic is 20’x30′, that is 600 square feet. You would need 4 hat vents installed. Now this is the mind-blowing part! If you cut a hole in the roof which only exposes half of the underside of the hat vent, you have cut that 150 square feet to (break out the abacus) 75 square feet. At that rate you would need 8, yes 8, hat vents installed! Talk about not aesthetically pleasing!! Underside of hat vent is barely exposed. There should be about an 8″-12″ hole in the wood. 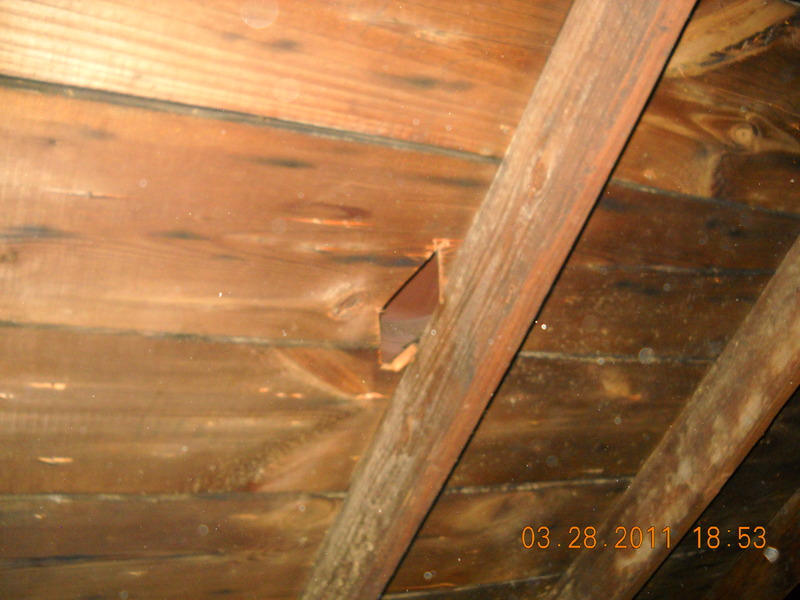 This hole is also blocked by a roof joist. This is a very basic intro into the exciting world of attic ventilation. If these steps don’t work you will be moving on to the world of attic fans and power vents. Shwing! What if the attic is too hot to go into to take the temperature? I would be surprised if you could fit through your attic access anyway!! Thanks for the primer! Well done and funny! I’m an insulation contractor, one of your customers, Eric, recommended your blog, I like it! I am always talking ventilation and doing my best to fix it. Keep up the good work! Thanks Nate!! Glad you enjoyed. Love to pick your brain about attic ventilation sometime.